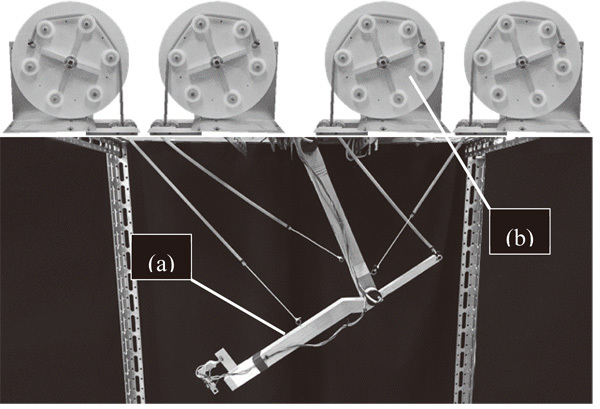 This paper discusses the positioning control of an elastic tendon-driven robot arm under gravity. The robot is driven by rubber string tendons and winding drums attached on the outside frames. Low-cost rubber strings that are available commercially are used as tendons. The goal is to utilize the nonlinear nature of the rubber materials to control a low-cost and soft robot arm. Theoretically, a mathematical model with accurate parameters and accurate measurement of the payload weight is necessary for rigorous gravity compensation. However, the necessity for the information of the robot parameters is hindering easy adaptability, versatility, and cost-efficiency. This paper presents an iterative estimation and compensation method for unknown payloads based on the steady-state position error and the nominal stiffness coefficient. Owing to the nonlinearity of the actual rubber strings, the position error remains after a single operation of the gravity compensation. However, experiments indicate that the error reduces by a simple iteration of the same compensation operation. Considering the nonlinearity in rubber strings, the mechanism of the error reduction is analyzed theoretically. Although the iterative process is time consuming, the method requires less prior information. 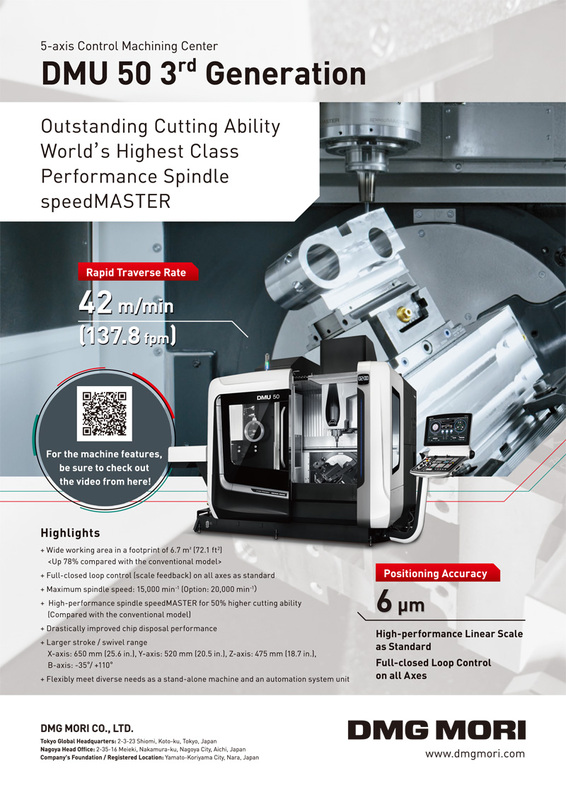 In addition, it is cost effective because a sophisticated force sensor is not required. As the mechanism of error reduction applies to typical rubber string materials, it is useful for significant cost-reduction and reconfigurable robotics. C. Shao, J. Togashi, K. Mitobe, and G. Capi, “Utilizing the Nonlinearity of Tendon Elasticity for Compensation of Unknown Gravity of Payload,” J. Robot. Mechatron., Vol.30, No.6, pp. 873-879, 2018. Y. Xu and R. P. Paul, “A robot compliant wrist system for automated assembly,” IEEE Int. Conf. on Robotics and Automation, Vol.3, pp. 1750-1755, 1990. K. Koganezawa, H. Inomata, and T. Nakazawa, “Actuator with non-linear elastic system and its application to 3 DOF wrist joint,” Int. Conf. on Mechatronics and Automation, Vol.3, pp. 1253-1260, 2005. N. Saga, J. Nagase, and Y. Kondo, “Development of a Tendon- Driven System Using a Pneumatic Balloon,” J. Robot. Mechatron., Vol.18, No.2, pp. 139-145, 2006. M. T. Mason, “Compliance and Force Control for Computer Controlled Manipulators,” IEEE Trans. on Systems, Man and Cybernetics, Vol.11, Issue 6, pp. 418-432, 1981. T. Noritsugu, M. Kubota, and S. Yoshimatsu, “Development of Pneumatic Rotary Soft Actuator Made of Silicone Rubber,” J. Robot. Mechatron., Vol.13, No.1, pp. 17-22, 2001. G. Tonietti, R. Schiavi, and A. Bicchi, “Design and control of a variable stiffness actuator for safe and fast physical human/robot inter- action,” Int. Conf. on Robotics and Automation (ICRA), pp. 526-531, 2005. K. Koganezawa, Y. Watanabe, and N. Shimizu, “Antagonistic muscle-like actuator and its application to multi-d.o.f. forearm pros-thesis,” Advanced Robotics, Vol.12, Nos.7-8, pp. 771-789, 1997. T. Tsuji, “Human Arm Impedance in Multi-Joint Movements,” P. G. Morasso and V. Sanguineti (Eds. ), “Self-Organization, Computational Maps, and Motor Control,” Elsevier, pp. 357-380, 1997. J. Togahsi, K. Mitobe, and G. Capi, “Control of Low-Cost Customizable Robot Arm Actuated by Elastic Tendons,” J. Robot. Mechatron., Vol.28, No.4, pp. 509-522, 2016. T. Lens and O. von Stryk, “Design and Dynamics Model of a Lightweight Series Elastic Tendon-Driven Robot Arm,” IEEE Int. Conf. on Robotics and Automation (ICRA), Karlsruhe, pp. 4512-4518, May 6-10, 2013. H. Aschemann and D. Schindele, “Comparison of model-based approaches to the compensation of hysteresis in the force characteristic of pneumatic muscles,” IEEE Trans. Ind. Electron., Vol.61, pp. 3620-3629, 2014. C. J. Lin, C. R. Lin, S. K. Yu, and C. T. Chen, “Hysteresis modeling and tracking control for a dual pneumatic artificial muscle system using Prandtl-Ishlinskii model,” Mechatronics, Vol.28, pp. 35-45, 2015. S. L. Xie, H. T. Liu, J. P. Mei, and G. Y. Gu, “Modeling and compensation of asymmetric hysteresis for pneumatic artificial muscles with a modified generalized Prandtl-Ishlinskii model,” Mechatronics, Vol.52, pp. 49-57, 2018. C. Song, S. Q. Xie, Z. Zhou, and Y. Hu, “Modeling of pneumatic artificial muscle using a hybrid artificial neural network approach,” Mechatronics, Vol.31, pp. 124-131, 2015. S. Arimoto, “Control Theory of Nonlinear Mechanical Systems: A Passivity-based and Circuit-theoretic Approach,” Clarendon Press Oxford, pp. 174-176, 1996. R. M. Murray, Z. Li, and S. Sastry, “A Mathematical Introduction to Robotic Manipulation,” CRC Press, 1994.